The things you find whilst rifling through a drawer in an antique shop in Whitby during a rain shower…. 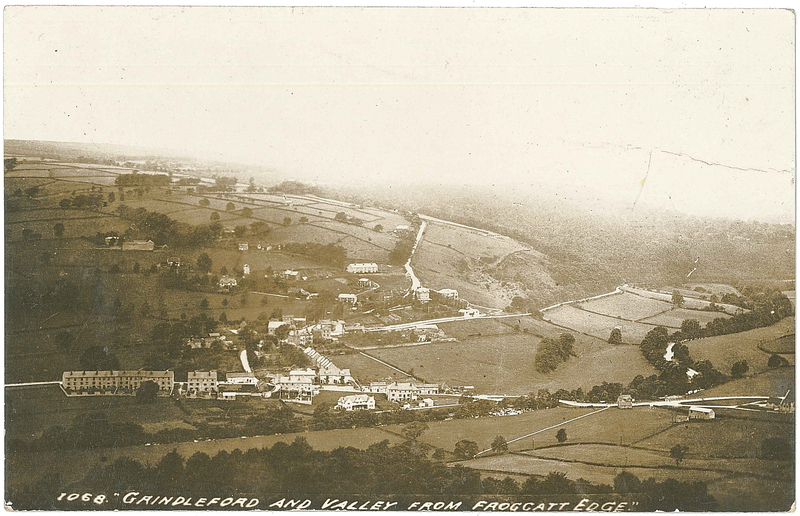 I thought many of you might be interested to see an old shot of the village, your houses may even be there. There is no actual date written on the back either, so I’m not sure of the precise year. Posted on September 25, 2013, in General Information and tagged grindleford. Bookmark the permalink. 5 Comments. WOW! How times change eh? Fascinating. Do you mind if I post that on the village website? Our house was built 1905. I can not see the church on the photo. St. Helens was consecrated in 1910 so guess photo taken within those 5 years!! I was really hoping to get some information like this, thank you so much.